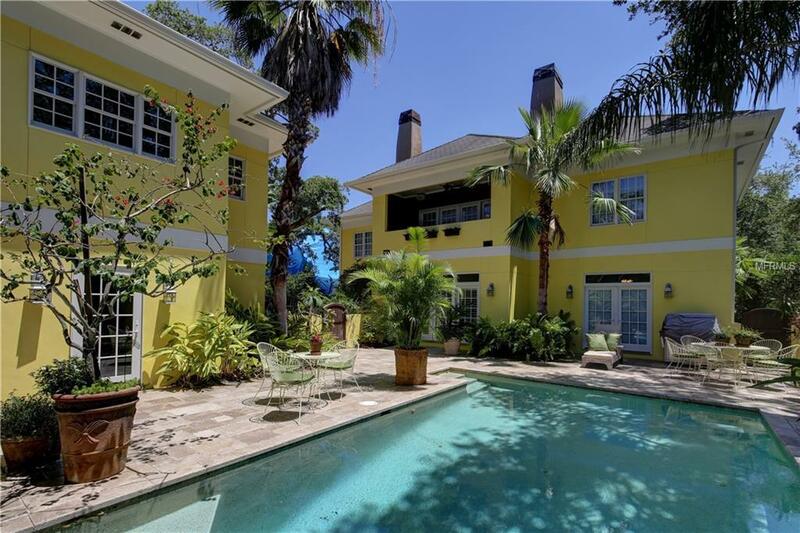 Stunning 2002-built home in the historic Harbor Oaks neighborhood of downtown Clearwater was designed by its current owner-architect to exemplify the charm and uniqueness of the area, without sacrificing modern amenities. 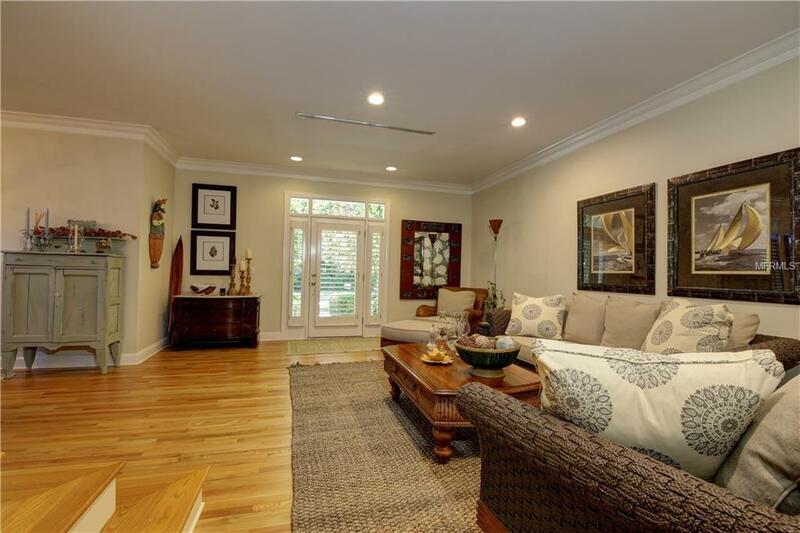 Begin with the fact that this property includes two structures, a two-story main house, 6,115 square feet with five bedrooms, four full baths and two half baths and an 812-square-foot guest cottage which sits above the detached two-car garage. These structures hug a pool and garden area. 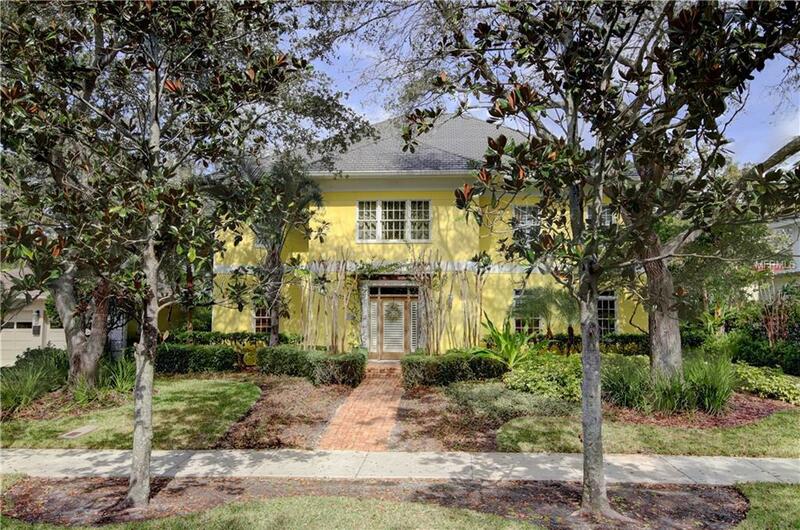 Reminiscent of old Palm Beach splendor, this homes main floor is open and inviting, with its separate formal living and dining rooms and two guest bedrooms with access to one-and-a-half baths. Its bright chefs kitchen complete with concrete countertops, a gas stove and large island opens onto a large family room with fireplace and bar. 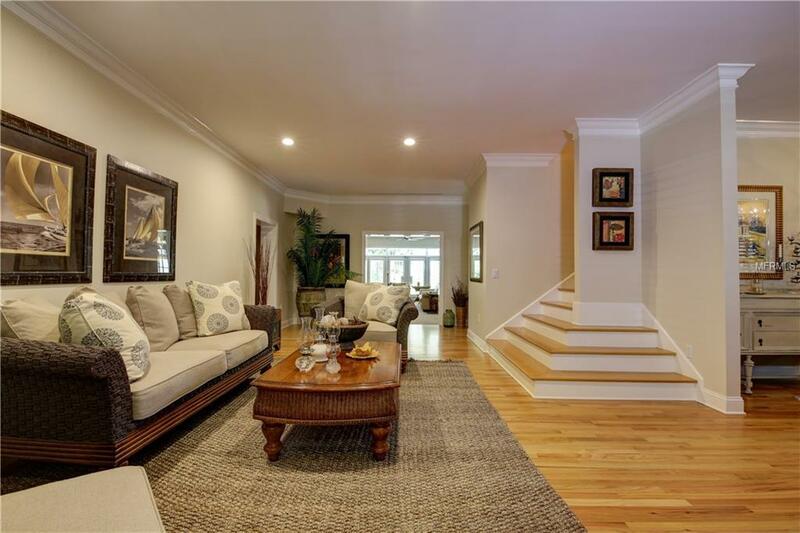 The expansive staircase reveals three additional bedrooms and the laundry room. Here you find the oversized master suite with high ceilings, fireplace, secluded office, balcony overlooking the pool and walk-in closet with custom built-ins. The master bath features dual sinks, hydro massage tub and separate shower. The mature, landscaped backyard retreat with huge saltwater pool and outdoor space which includes a fireplace leads guests to their fully equipped guest house. In case you are wondering, this home can be outfitted with an elevator and the attic can be made into a third floor. These gems rarely come on the market. Dont miss your private showing of this one!